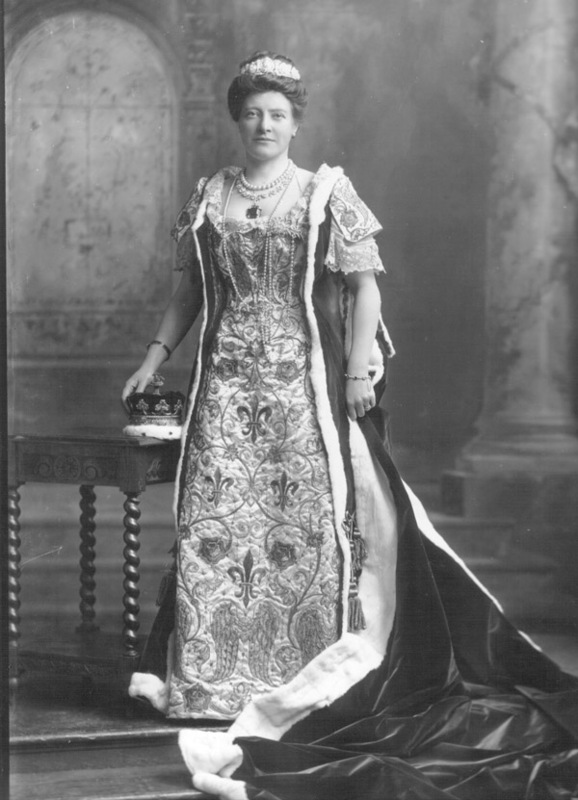 Susan (Margaret), Duchess of Somerset (d. 1936), née Mackinnon. Sitter: Susan (Margaret), Duchess of Somerset (d. 1936), n�e Mackinnon. Biog: Daughter of Charles MacKinnon; m. (1877) 15th Duke of Somerset. Occasion: The Coronation of King Edward VII. Biog: Burke's Peerage; The Times, 31 January 1936, p 16d. Costume: The Observer 10 August 1902, p 6f; The Standard, 11 August 1902 p 7f; The Times, 11 August 1902 p 15d; The Gentlewoman, 16 August 1902, p 203c & 206c; The Queen 16 August 1902 p 256a.